We also look at Bournemouth's prolific pairing, identify which teenagers are tearing up the Premier League and ask the question: are Tottenham a better side without Harry Kane? Incredibly, the England forward's second of the afternoon was City's 150th goal of the season across all competitions - they are only the second top-flight side in history to reach that milestone. The other? City in 2013-14 (156 goals). 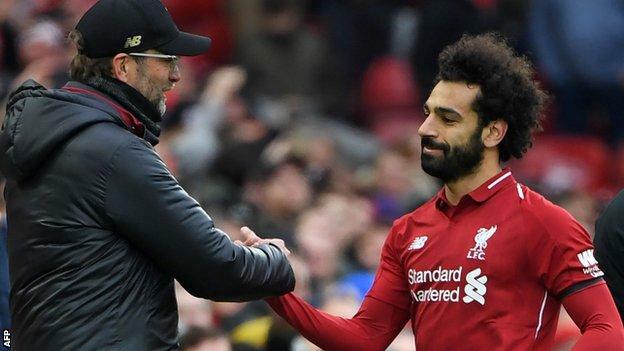 The victory was the Reds' 26th in the league in 2018-19, equalling their record from the ill-fated 2013-14 season. They last won more matches in a top-flight season during their title-winning 1978-79 campaign (30 wins) - a tally that, with four games remaining, they could yet match. Sunday's win also took them to 85 points - one more than they gathered in 2013-14, but will that be enough for Jurgen Klopp's side? They currently lead City by two points, but Pep Guardiola's side possess a vital game in hand. The current record points tally for a team who did not win the league is 89 - a total amassed by Manchester United in 2011-12. Klopp and his side will hope they don't become the unhappy owners of that particular record come Sunday, 12 May. 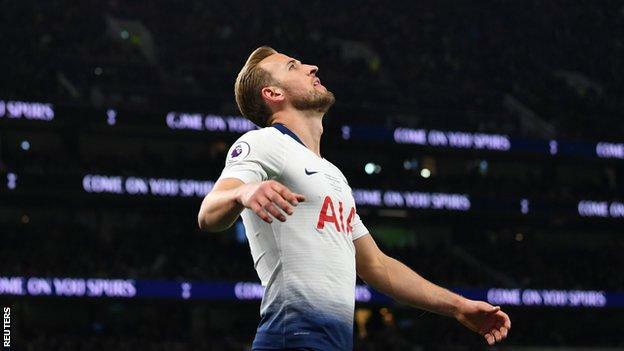 Mauricio Pochettino's side were without Kane on Saturday, but if they were missing him they certainly didn't show it, romping to a 4-0 win over Huddersfield at their sparkling new stadium. Oddly enough it appears they're better at the other end, too. When Kane has played, Tottenham concede an average of 1.1 goals per game, and when he hasn't featured the figure stands at just 0.6. Maybe - but the England star is still their top goalscorer in the league, and his goals have won his side seven points - none of his team-mates can better, or even match that. 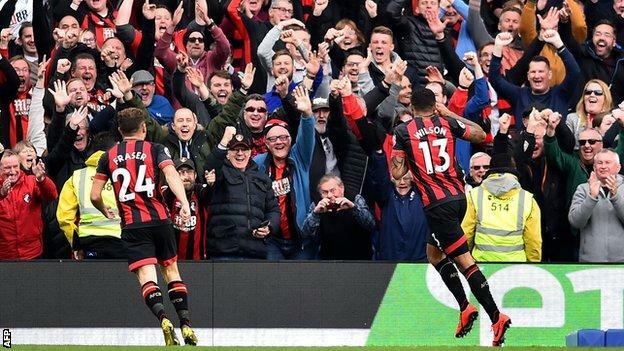 Such has been Wilson and Fraser's form in 2018-19, they have combined for 11 Premier League goals, the most by a duo in a single campaign since Alan Shearer and Mike Newell in 1995-96 (also 11). 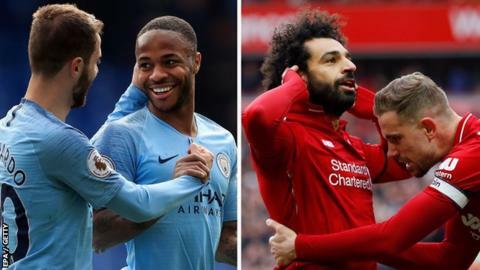 Unsurprisingly, they are well clear of other Premier League duos this season, although Manchester City forward Raheem Sterling has combined for seven goals with both Sergio Aguero and Leroy Sane, as have Wolves' Diogo Jota and Raul Jimenez. Wilson and Fraser still need to combine a couple more times to catch the original SAS - Shearer and Chris Sutton - but with four games left they could very well do it. "I've said it for weeks now - he's fantastic. He's a real talent," Burnley boss Sean Dyche said of Dwight McNeil following his side's crucial win over Cardiff on Saturday. And the stats back up Dyche's summation. No player has been involved in more Premier League goals as a teenager than McNeil, 19, this season (eight - three goals and five assists). There is another teenager also on eight goal involvements, Fulham's Ryan Sessegnon. If either McNeil or Sessegnon can go on to achieve anywhere near as much as him they'll have had a pretty good career.